I knew this week would be difficult before it even started. This Thursday, I&apos;m leaving for Guatemala, and have about one million things to do before then—so I tried a different strategy. Instead of sleeping in Monday morning to get as much rest as possible, I went to bed early (aka, as soon as Game of Thrones ended) and I hit the ground running, literally, with a pre-sunrise workout class instead of my usual 7 am class. Instead of feeling tired, I felt invigorated and ready to face the week and get things done! Here&apos;s what I&apos;m up to this week before heading south. 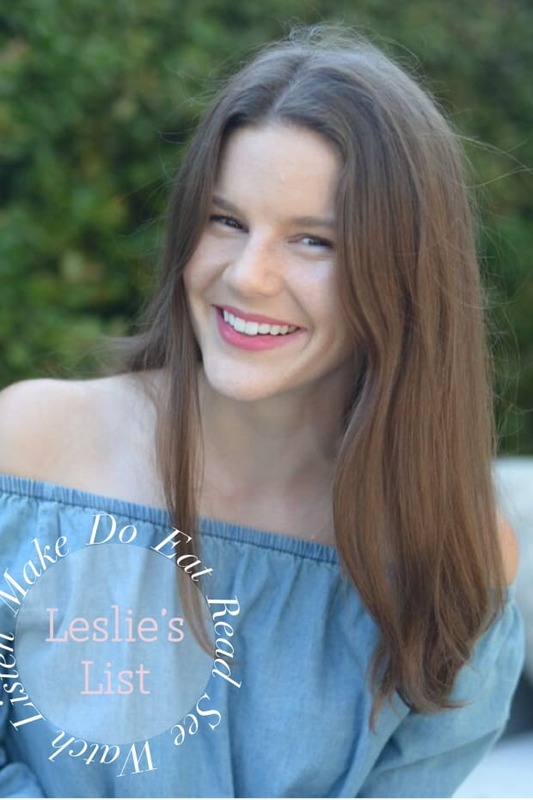 P.S., I won&apos;t be posting a Leslie&apos;s List next week, but I&apos;ll be back the following week! Since I&apos;m out next week, this "Do" is for the weekend of August 12th, when Propel is hosting a fitness festival in L.A. 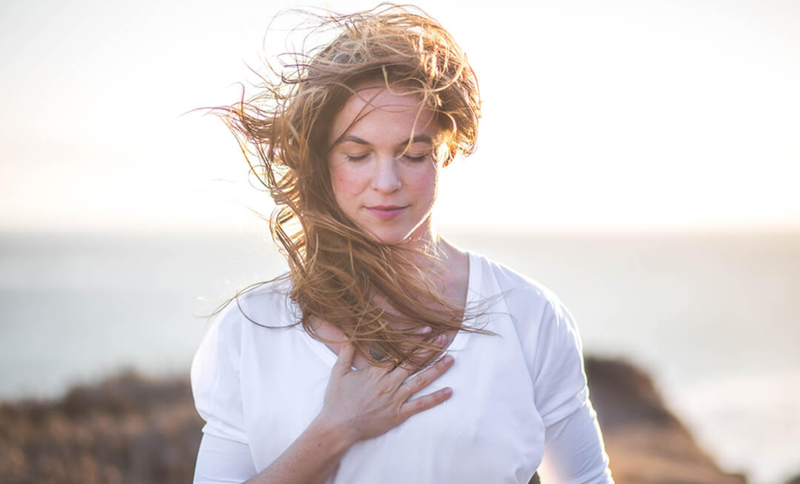 The two-day event includes fitness events with everything from The Class by Taryn Toomey to Speedplay for $50 for two days (which is pretty good when you consider a fitness class can be up to $35 per class!). I&apos;m not sure yet if I&apos;m able to go, but you can buy tickets here! Also, if you&apos;re looking for a restaurant rec in L.A. (because everything in balance), I went to Mh Zh this weekend and it may be my new favorite restaurant. The bright corner restaurant, the name of which translates to "what is it" in Hebrew, spills out into the sidewalk with uneven tables and milk crates for chairs—but that&apos;s all part of its charm. When I went with my boyfriend this weekend, we ordered one of nearly everything and ate like kings for $20 per person (you could easily get out of there for $30 for two). But that doesn&apos;t mean the food itself is cheap—each order is generous, with ground "lamb ragooo" [sic] served over a tahini base with sumac and preserved lemon, labneh doused in good olive oil, a pinto bean stew, and so many salads. Next week, we&apos;re publishing a post with the multi-talented Barrett of Valleybrink Road, so I spent the weekend revisiting her blog. Even though she specializes in florals now, her blog began as a food blog, and is a treasure trove of amazing recipes. 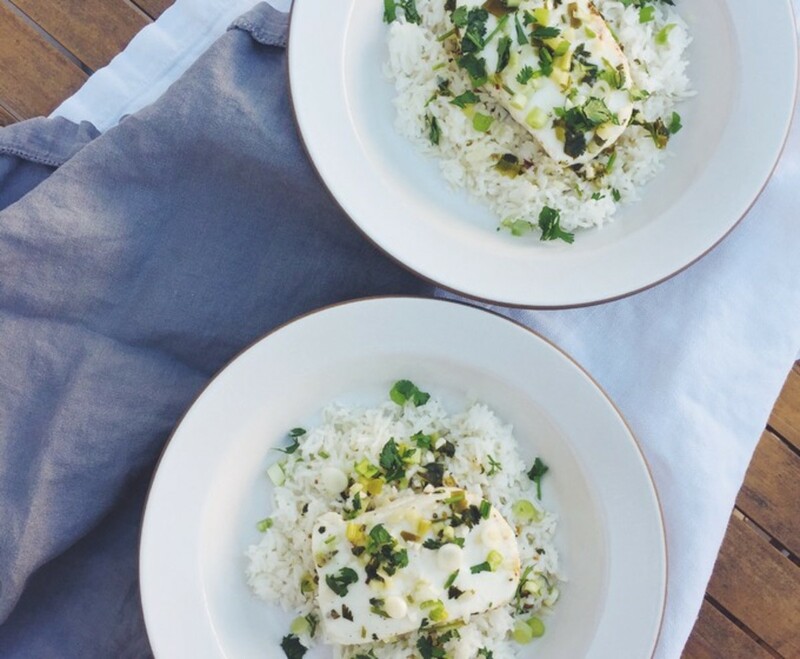 This weekend, I opted for the coconut halibut (adapted from a recipe by Pamela Salzman) served over jasmine rice, alongside a pile of edamame. It was so delicious I&apos;m considering making the exact same thing again for dinner tonight! Last week, our summer intern left to go back to school, and while I don&apos;t envy that she&apos;ll soon have piles of homework, I found myself missing that first week of class where you receive syllabi and get to hear about everything you&apos;ll be learning over the course of the semester. 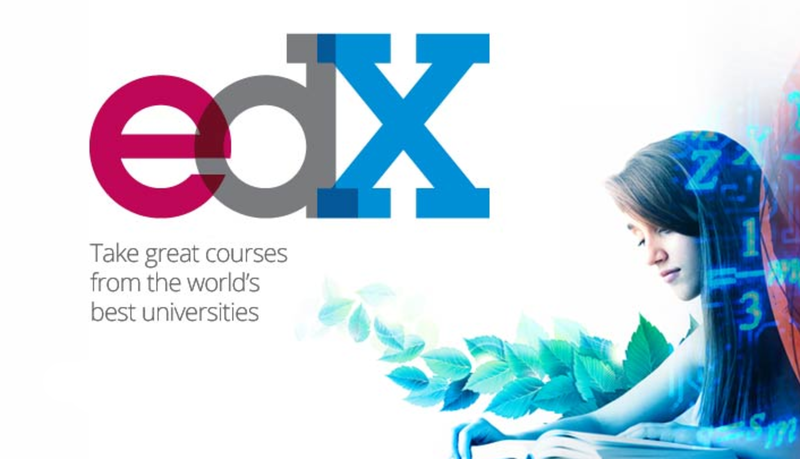 Over the weekend, I remembered that Edx exists, which offers free classes from top universities including MIT and Harvard (how cool is that?). You can learn about everything from microbiology to poetry to evolution to personal finance at the pace of a college course. What&apos;s the "ethics of memory?" No idea! But now I can learn about it! Also, roughly on the same subject, this article about Friends and the "downfall of Western civilization" made me laugh—but also made me want to start an Edx course ASAP. This weekend, I went to the final KCRW Sound in Focus at the Annenberg Center for Photography to see one of my favorite bands, Rodrigo y Gabriela. It was surreal to see them in person after listening to them for the past ten years (if you haven&apos;t heard of them, they play amazing Spanish guitars). Before they went on, I visited the adjacent Lauren Greenfield exhibit, Generation Wealth, for the second time and noticed things I completely missed the first time around, including her documentary, Beauty CULTure. If you haven&apos;t seen it, I highly recommend watching it (the embedded video above is the entire thing), then diving into some of her other videos and documentaries, which examine the role of wealth and beauty in society. Some of my favorites include her Emmy-winning "Like a Girl" ad and The Queen of Versailles (available on Netflix). At the very least, they&apos;ll make you think; at most, they&apos;ll cause you to reexamine your priorities. You could say I&apos;m very familiar with Spotify&apos;s "acoustic" playlists—"Afternoon Acoustic," "Workday Acoustic," "Dinnertime Acoustic"—since they&apos;re pretty much the only thing I listen to while I work. Usually they serve as just the right amount of background sound, but once in a while, a song comes on that makes me stop in my tracks, like Lake Street Drive&apos;s cover of Rich Girl. Since hearing it, I&apos;ve been listening to their 2014 album, "Bad Self Portraits" pretty much non-stop, especially the song "You Go Down Smooth." P.S., Whenever I hear a random song I love, whether on a playlist or the radio, I add it to this 2017 playlist, just in case you like the songs I recommend! If there&apos;s one thing my apartment&apos;s missing, it&apos;s a place to curl up for hours with a book. We have a couch, of course, but I want to feel completely cocooned when I read. Since we recently made some furniture changes in our apartment that free up a corner, I&apos;ve been pinning inspiration for reading nooks relentlessly. 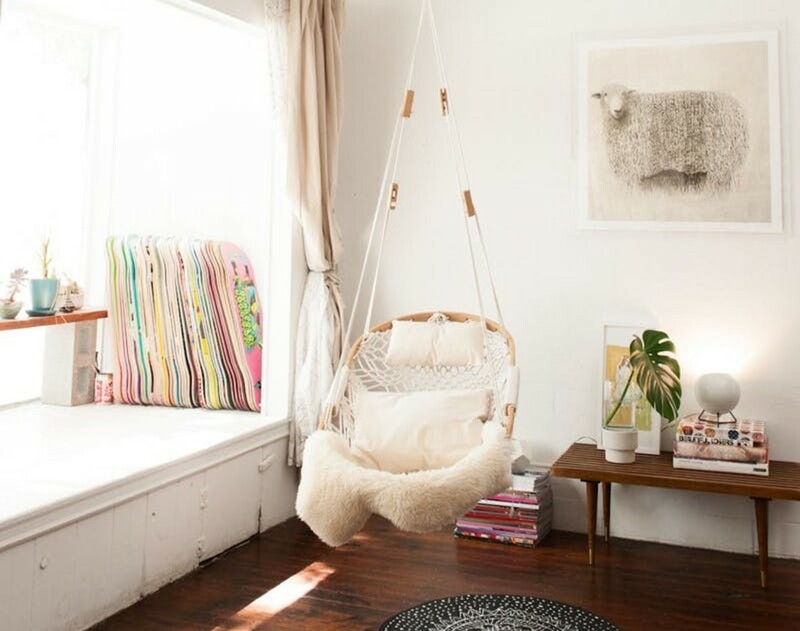 While the plans are very much still up-in-the-air, I&apos;ve been taking inspiration from this list and would love to hear if you have any ideas for creating a cozy place to curl up!